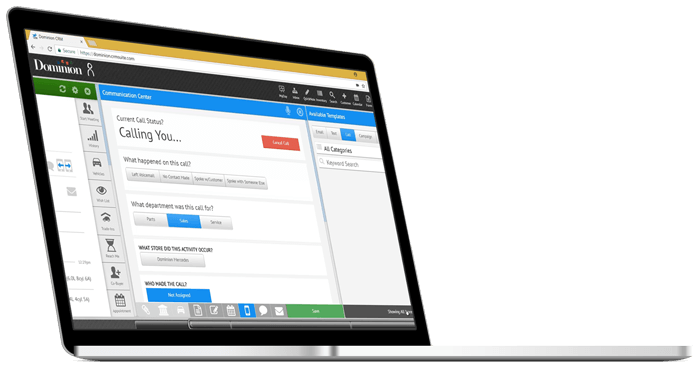 AN AUTOMOTIVE CRM SO ADVANCED, IT'S SIMPLE. 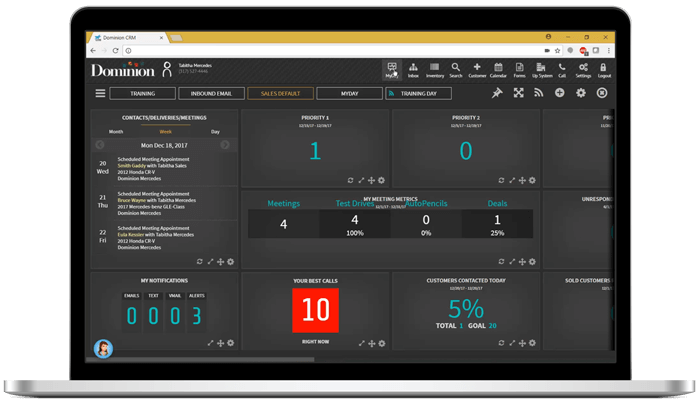 Dominion Vision CRM, powered by CRMSuite, eliminates conventional CRM thinking by combining ease-of-use functionality with user-tailored dashboards, giving you a birds-eye view of dealership activity. Intuitive technology erases the need for traditional action plans and linear workflows. Dominion Vision learns about your customers and their preferences - helping you connect via the best possible method at the best possible time. With real data at your fingertips, Dominion Vision automotive CRM is a true business intelligence tool. Stop wasting precious time reaching out to customers who are unlikely to respond. Dominion Vision is the only automotive dealership CRM on the market with the Activity Focus feature. 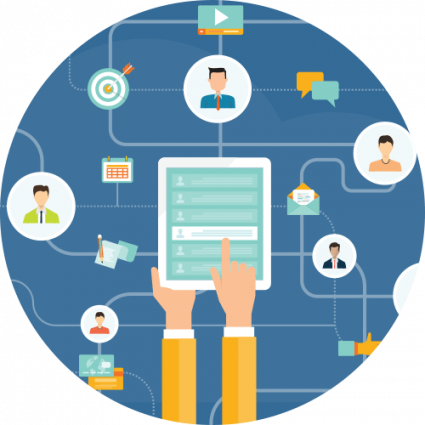 By utilizing data gleaned from the CRM’s expert technology, it helps increase the sales reps' productivity by targeting customers when they are most likely to engage. Olivia, your new virtual assistant, will ensure customers and prime prospects don’t slip through the cracks. This proactive feature automatically ensures customer connection and follow-up without the need for management, instruction, or intervention. Think of her as an extension of your sales team. True custom user interfaces are designed to fit the processes that uniquely define a dealership. This complete dashboard provides a tailored overview of the dealership's data in near real-time. With video built into its communication center, Dominion Vision is modernizing greetings and relaying information to customers on a more personalized, forward-thinking platform. Dominion Vision’s Direct Connect Calling feature automatically logs call data correctly into the CRM. Sales reps can call directly from the customer record inside of Dominion Vision while using their very own vanity number. 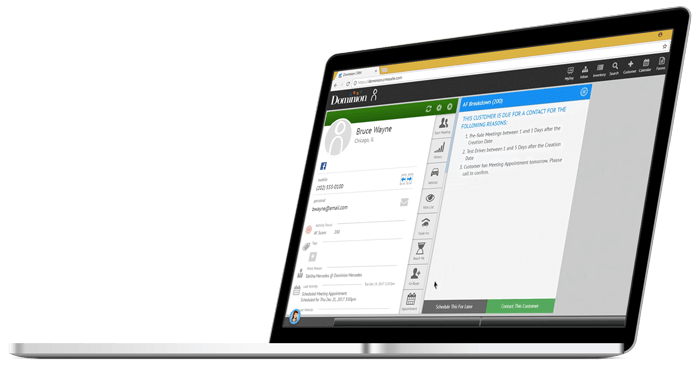 OliviaCares™ gives sales managers complete oversight into dealership communications including calls, texts and emails. This new functionality replaces the need for a human monitoring service and enables store leadership to correct missed or mishandled opportunities in real time, before customers have moved on to another dealership. With Dominion Vision CRM, your sales reps effectively connect with car shoppers and close more deals. The additional features below will exponentially improve your overall performance. See which add-ons best fit your dealership’s needs. Stop the Clock - A live, human-powered network that increases your response times and gets the right message to your customers, even if it’s after 2 AM. Watch the Stop the Clock feature video to learn more. Enhanced Email Deliverability - Vision notifies if you something seems off about your email, or if your email may hit the spam folder. 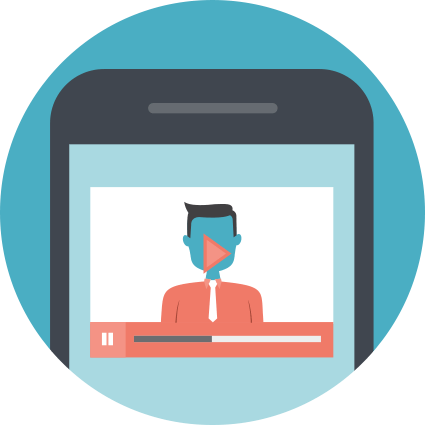 Drive more successful email communications, watch the Email Deliverability video to see how it works. Advanced Image Package - Get a full library of high-resolution colorized images for every new and used vehicle in your inventory, including 360-degree spinning exterior GIFs. Learn more, watch the Advanced Image Package video. Get the Vision Add-On Infographic to learn more! 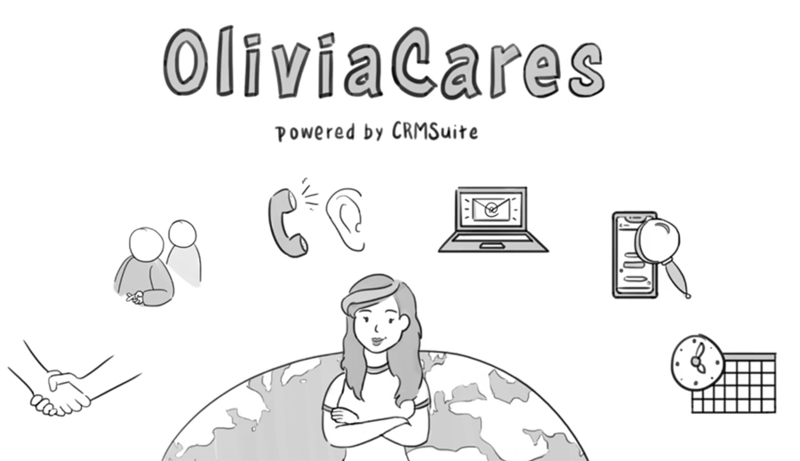 OliviaCares and PoweredByOlivia are Registered Trademarks of CRMSuite Corporation. All Rights Reserved. Watch: How Important is Dealership Culture? Watch this video to see how implementing Dominion Vision CRM can increased car sales, job enjoyment, productivity and a greater sense of workplace security. Learn how data-based decision making within an AI-powered CRM can be used to focus your customer attention.